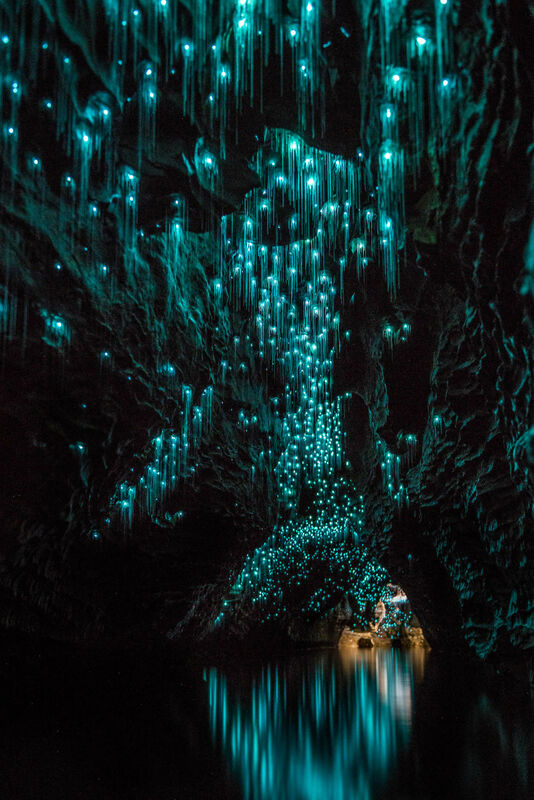 Something quite special dwells beneath the surface of New Zealand and these images prove that the country is just as beautiful below ground as it is above! 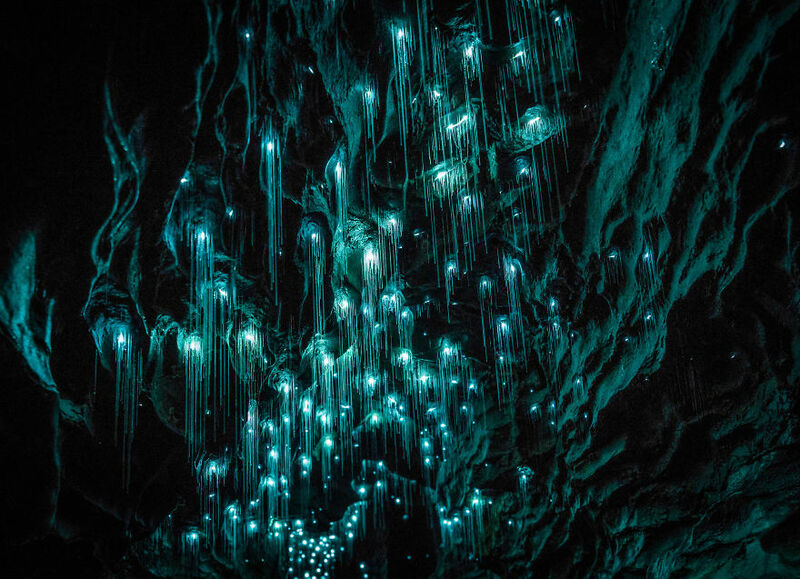 The Waitomo area is famous for it’s limestone caves and within these caves are one of the most magical insects in the world, the glowworm. 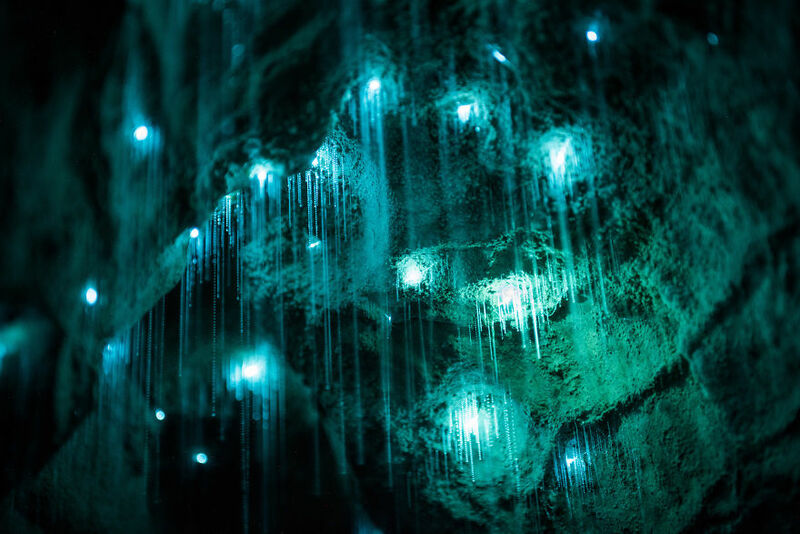 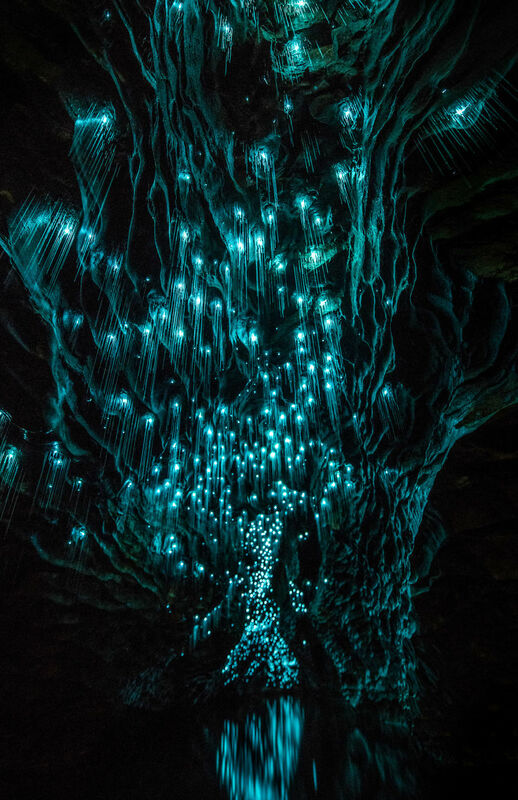 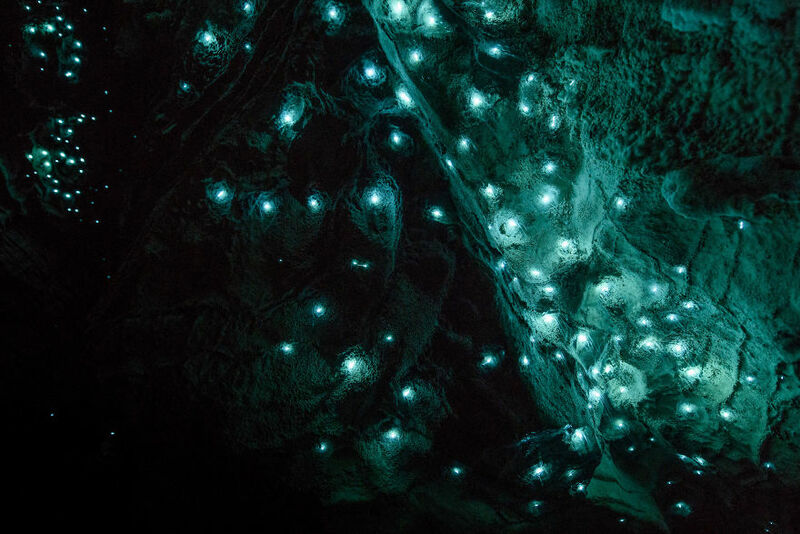 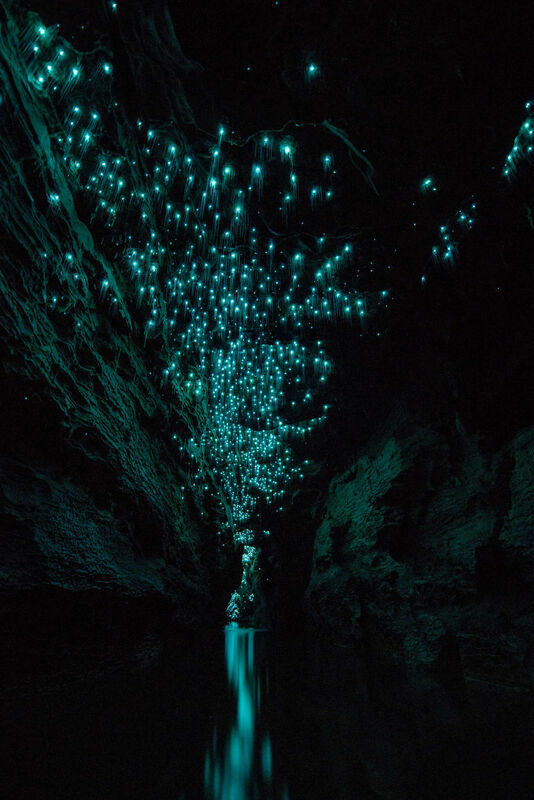 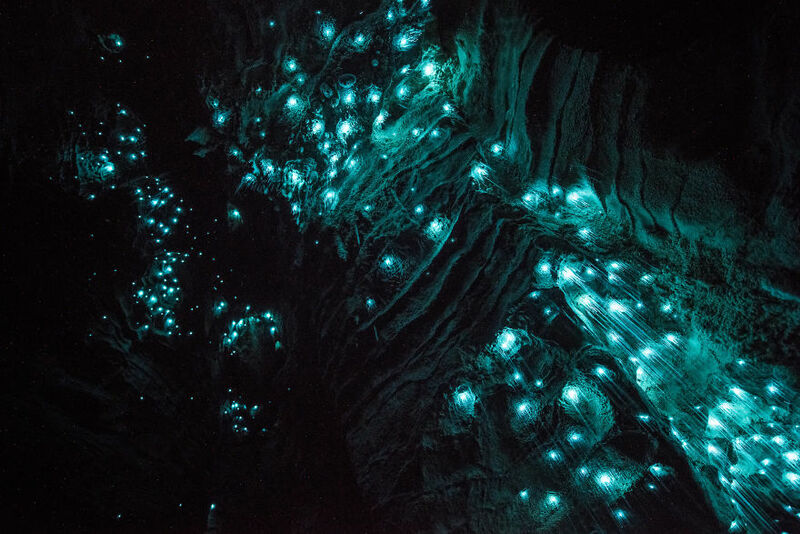 Glow worms emit a phosphorescent glow that light up the cave and create a surreal environment. 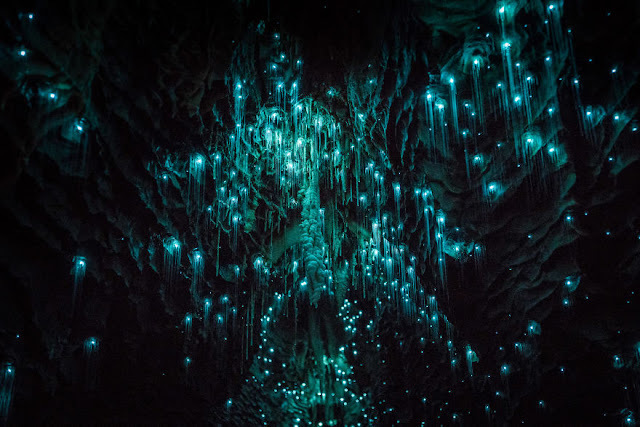 Over the past year Shaun Jeffers has been back and forth to Waitomo’s Ruakuri Cave to master the art of photographing these magnificent little creatures – it’s been quite the experience! 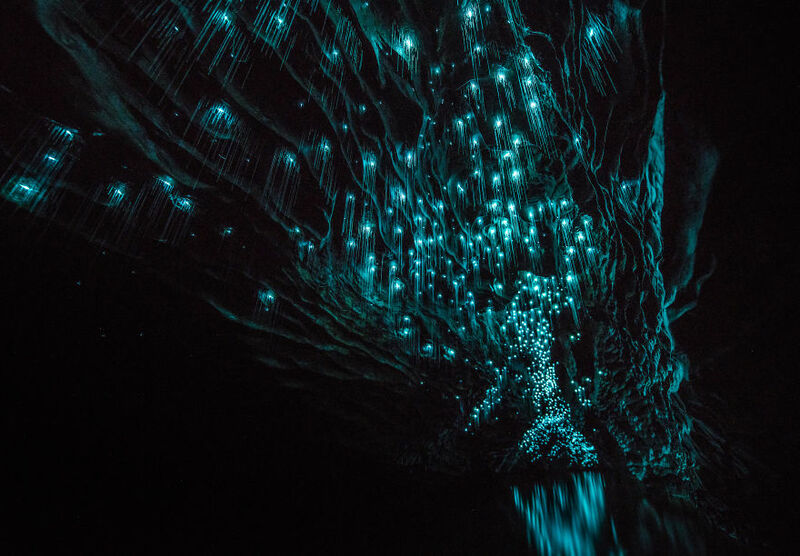 When the headlamps are out and all you can see are the glowworms, you can’t help but feel like you’ve stepped into James Cameron’s Avatar Pandora, it’s just unreal! 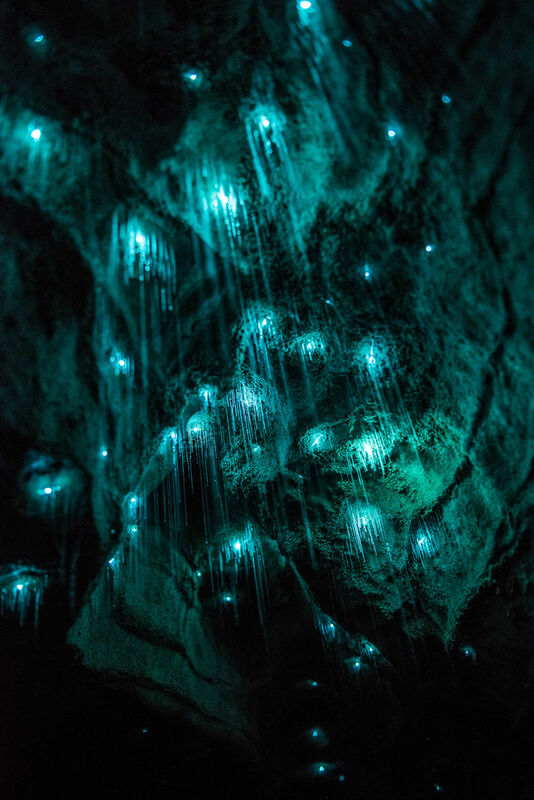 Photographing glow worms is very similar to shooting the night sky, however the exposure time can be much longer. 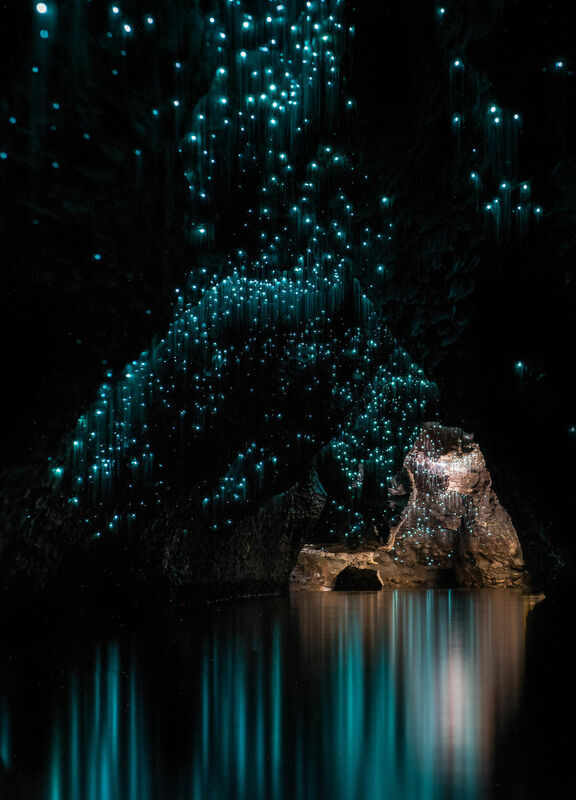 These images in particular range between 30 seconds and 6 minutes exposures. 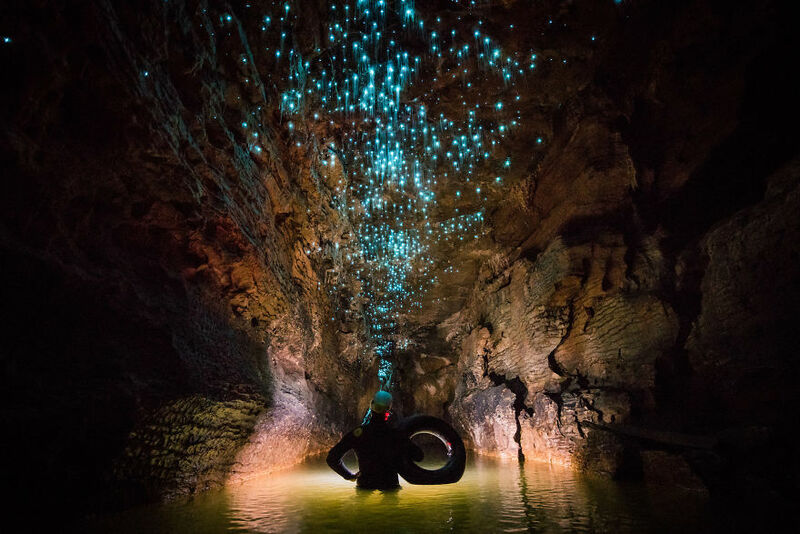 To achieve the shots, it required him to submerge himself and his tripod in cold water for up to 6-8 hours a day – it was totally worth it!